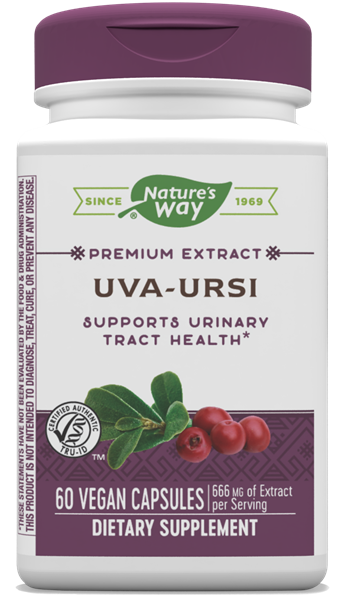 Uva Ursi / 60 Caps - Nature's Way®. Uva Ursi extract is standardized to 20% arbutins. Based on the antiseptic action of the leaves, Uva Ursi was listed in the U.S. Pharmacopeia and National Formulary from 1820-1950.